Where your music can go viral! This is where music Artists can post and share their music samples throughout social media! Through our mobile app, Fans can re-share these tracks and applaud artists to the top of the charts! 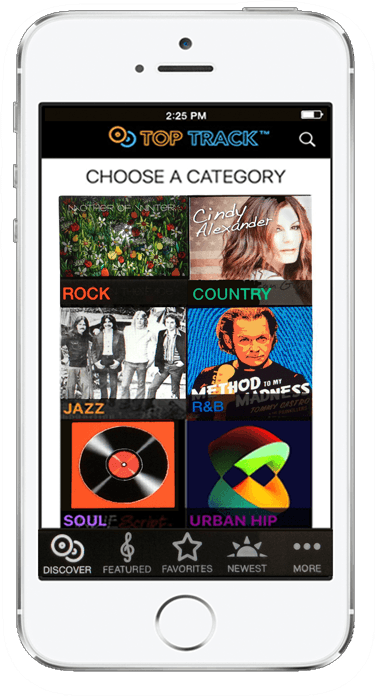 To post your music, get the free TopTrack app, create an account, and login below. Daily high scores become today's TopTracks! Just tap Play! Here is where music Artists can post and share their music samples throughout social media! In our mobile app, Fans can re-share tracks and applaud them to the top of the charts!